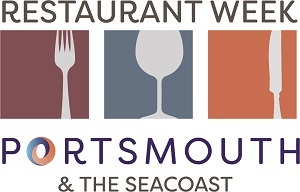 We are so pleased to welcome you to the Spring 2019 Restaurant Week Portsmouth & the Seacoast! More than 40 restaurants around the Seacoast – in Portsmouth, Durham, Hampton, New Castle, Rye, Exeter, Kittery, Maine and York, Maine – are inviting you to enjoy great meal values during lunch and dinner over these 10 days. More than 40 restaurants around the Seacoast – in Portsmouth, Durham, Hampton, New Castle, Rye, Exeter, Kittery, Maine and York, Maine.